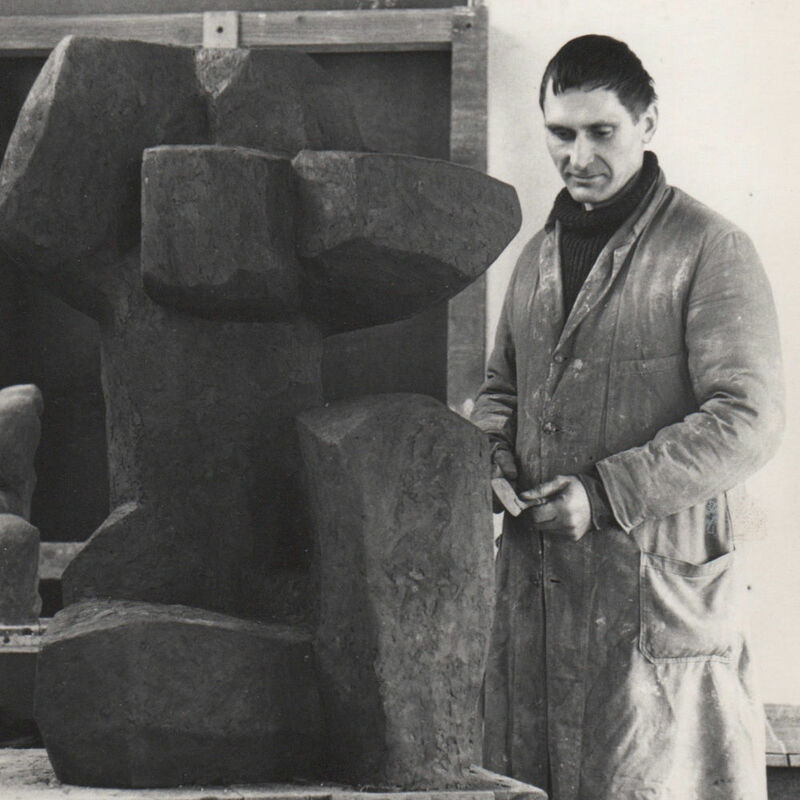 Bob Dawson (1921-2012) was an independently celebrated British sculptor of the 20th Century. 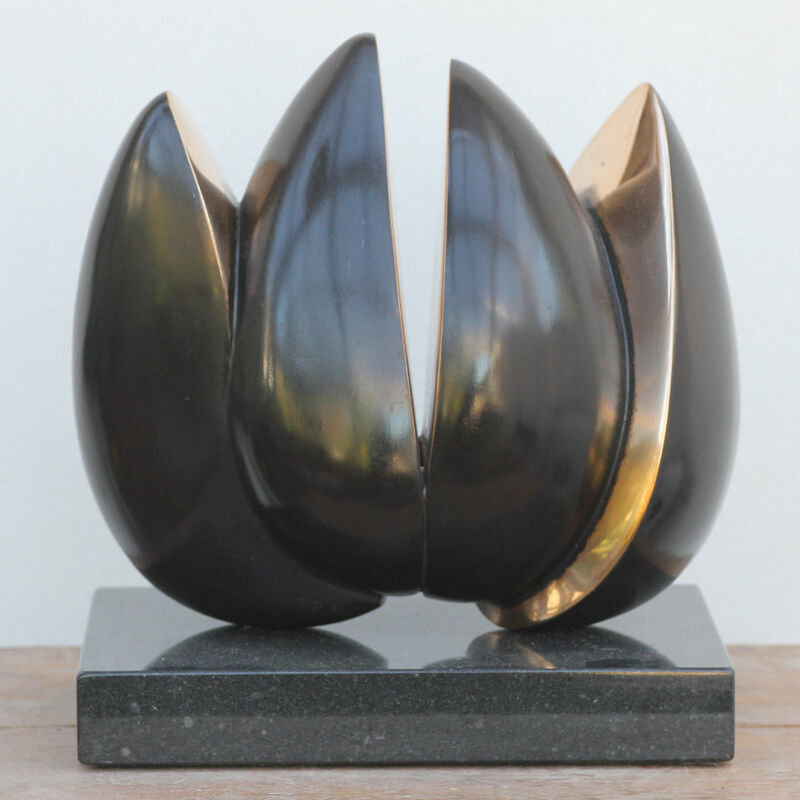 Born in Holywell, North Wales, his sculptures are directly linked to memories of his childhood and his intimate relationship to nature. Drawn out of his fascination with the environment, the elemental and maritime became catalysts for his creative process. During the Burma Campaign (1941-45) he was commissioned into the Indian Army where he served as Captain and fought in Myanmar (Burma). His time in the Indian Army broadened his thinking, and notably expanded his perspectives on the world, which would eventually enrich his artistic practice as a Post-World War II artist. Demobilised at the end of the war in 1946, it was during this period he met his lifelong companion and wife Martha, who was a skilled weaver in her own right. Martha became his inspiration and muse, and he made several sensitive and beautiful portraits of her. Sculptor: Bob Dawson. Martha Dawson. Material: Coloured plaster. Bob initially, studied at Camberwell School of Art London. During this period he studied under great painters such as Victor Passmore and William Coldstream. However, he found his interests moving towards three-dimensional work, and ended up majoring in sculpture. 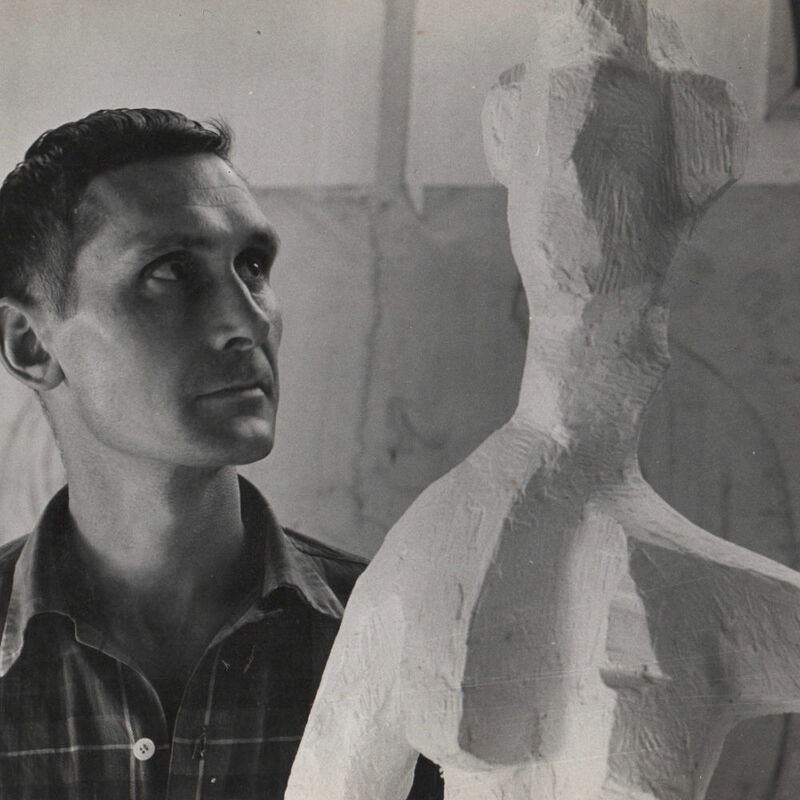 He admired Malevich, Lissitsky, Mondrian and Gabo but felt that he was more influenced by the early Greeks, alongside Renaissance sculptors such as Donatello and Pisano, and the Modern cubists, Brancusi, Gonzales, Moore, and of course, Rodin. He continued his studies at Kennington City and Guilds School of Art (1947-49) and later at the Royal Academy, in Copenhagen, under Professor Utzon Frank (1951-52). Professor Utzon Frank deeply influenced his work, but he was also inspired by the work of Mogens Boggild, who later became Professor at the Royal Academy. 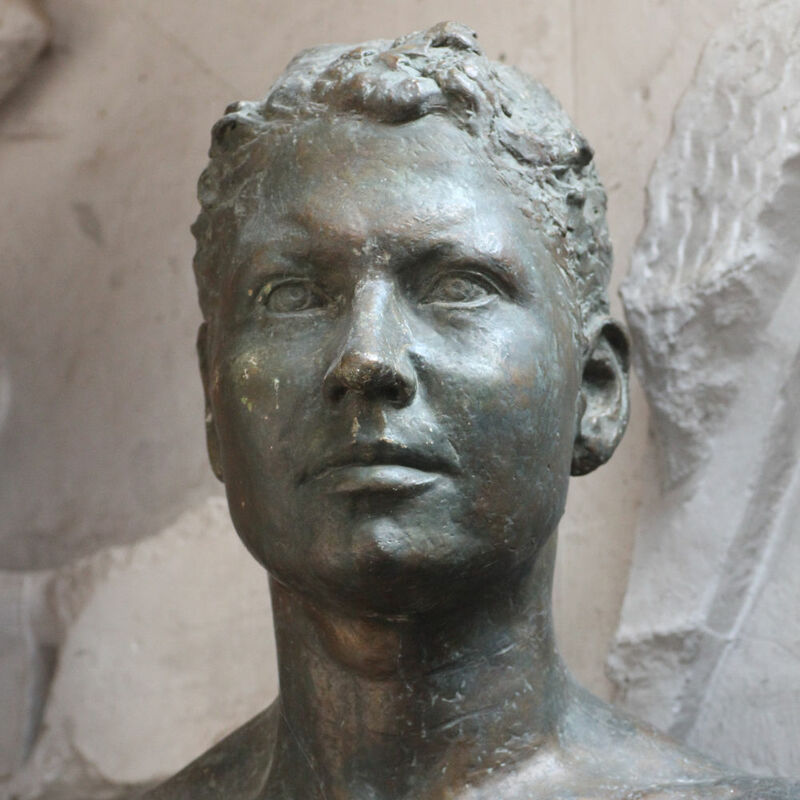 From that period onwards, sculpture became an extension of himself and a major part of his life, until his death. 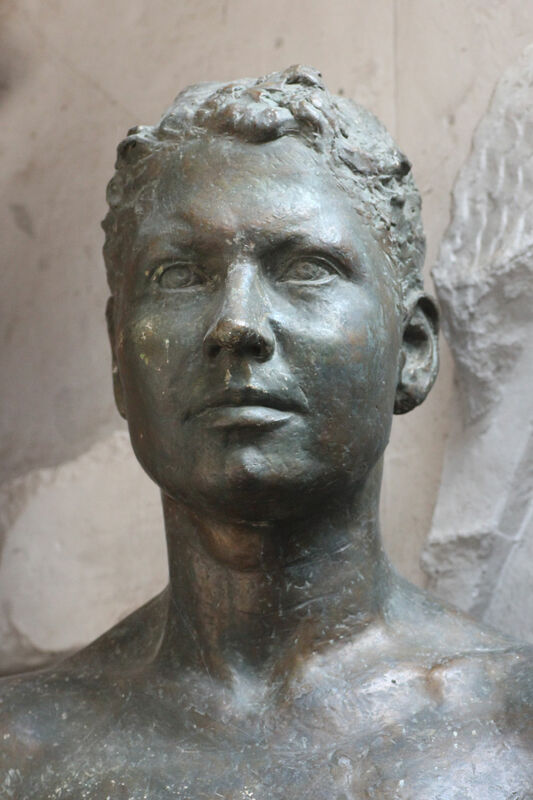 From the very beginning, his works, primarily made in clay and bronze, had a direct relationship to their surroundings. The nature of his sculptures, actively function to alter and permeate the existing environment in which they were placed, creating a new and interactive space, in which the viewer is invited to participate. He often used abstract form to draw analogies between the human body and a myriad of landscapes. 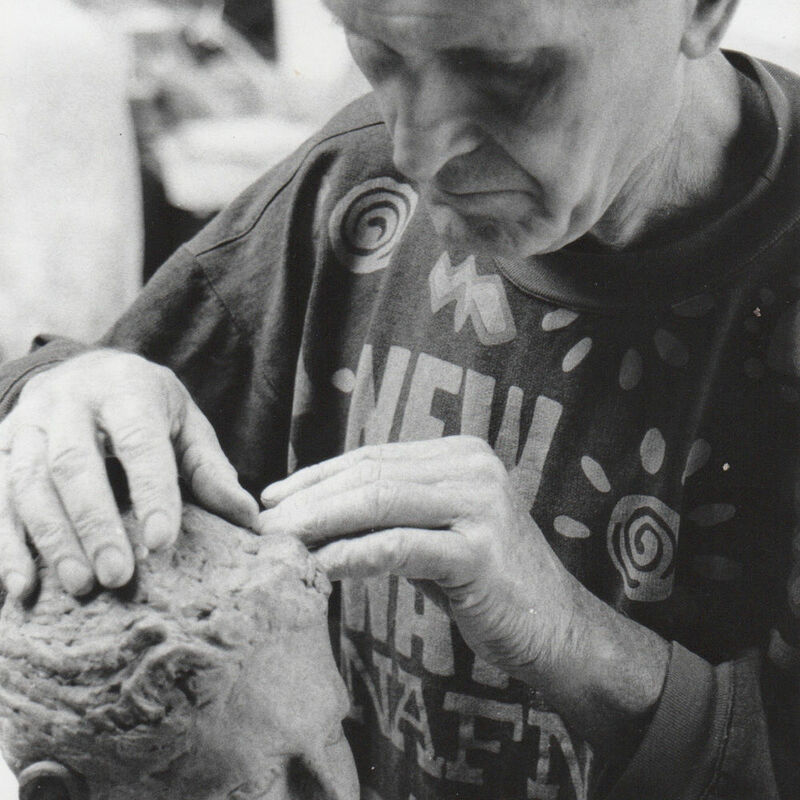 Throughout his lifetime, his sculptures continued to evolve, using a range of materials such as bronze, stone and clay in an organic manner; carving them into strangely shifting forms and achieving a complex patina of surfaces. The artist believed that his sculptures were primarily concerned with life, its’ shifting and changing nature, which is in constant flux: the cycle of conception, growth, decline, death and rebirth. It is the eternal cycle, of which we are part of, and the human courage to go on living despite its hardships and weathering, that inspired him most. For him, life consisted of analogy, contradiction, and paradox, which he expressed through both solid and void forms, that conversely look backwards and forwards. 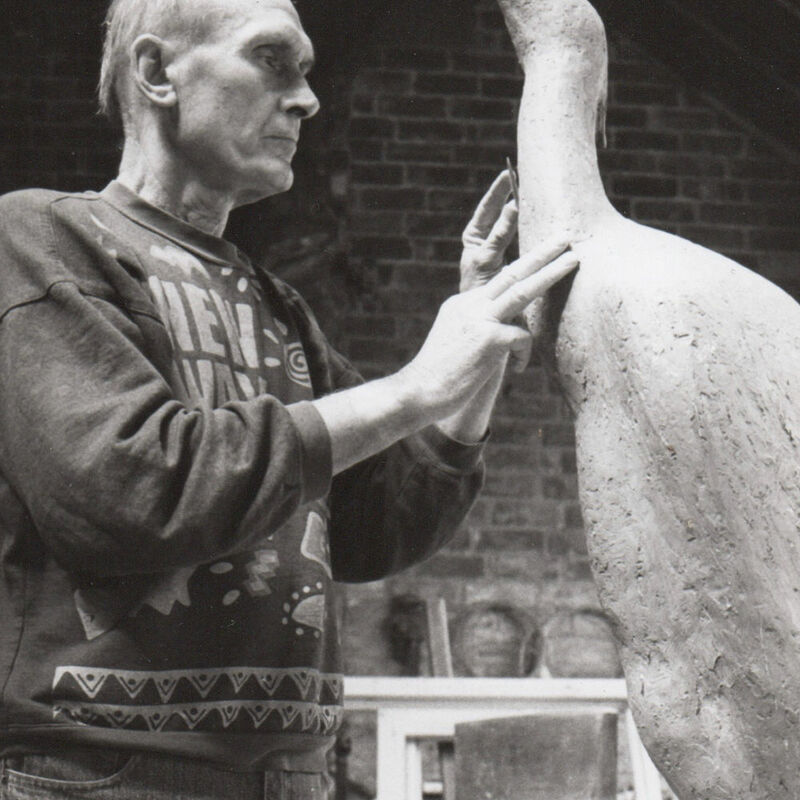 Both his sculptures ‘Shearwater’ and ‘Big bird’ expressed for him, not only the beauty to be found in natural life, but the force and urgency of life itself. Since 1963, he taught in various prestigious art institutions in London, and elsewhere. Between 1963-76, he taught 3-D design (Diploma and Graphic courses), technical illustration, and life drawing at the London College of Printing. During this period, he also, taught part-time at The Polytechnic of Central London (1964-80), teaching Visual, Perception and Communication studies for both under-graduate and post-graduate students, in departments of Architectures, Civil Engineering, and Planning. After this, he went on to work at the South Bank polytechnic (1980-88), as a tutor and part-time lecturer on the honors degree, in Interior design, Mechanical and Product Engineering. Public and private gallery exhibitions and commission work also sustained his full-time practice. He had several one-man shows, at the Central Polytechnic, London, the Alfred East Gallery, Kettering, and the Museum and Art Gallery, Northampton. Over the years, he also exhibited at a number of galleries: the O’Hana Gallery, The Ewan Phillips Gallery and Grosvenor Gallery in London, The Royal Academy, and The Welsh Arts Council. Although, first and foremost an artist, he was also an avid writer and wrote several articles on fine art, which critically explored the process of art making, methods and materials. He also wrote three books two on sculpture and one on carving, published by Studio Vista, all of which are still available in print today. In later years he developed Parkinson’s disease, but despite this, he continued to produce art – it was his life – and this feeling, never diminished. He felt strongly that art should stand alone, that it should not be about conceptualising, theorising, or the artist as critic, but about the sensory experience of looking, and pleasure. If his work needs to be explained, it has moved into a different field, one he stated “was not mine”. "Art is about looking, feeling and enjoying. If it needs a lot of explaining then it has moved into a different field - not mine."